The 1992 Chevrolet Corvette was a new car the company released despite an economic downturn. Chevy experienced poor sales around this time and understood it would not have the budget necessary to roll out the next generation of Corvettes. Nevertheless, the company didn’t let that stop them from unveiling the 1992 Chevrolet Corvette later that year. The 1992 Chevrolet Corvette is notable for the timing of its release, which followed a prototype concept car known to its fans as the Stingray 3. Although Chevy didn’t make cosmetic changes from previous versions, the 1992 Chevrolet Corvette did include several performance upgrades. Like several of Chevy’s cars both before and after, the 1992 Chevrolet Corvette was something of a milestone for the company. 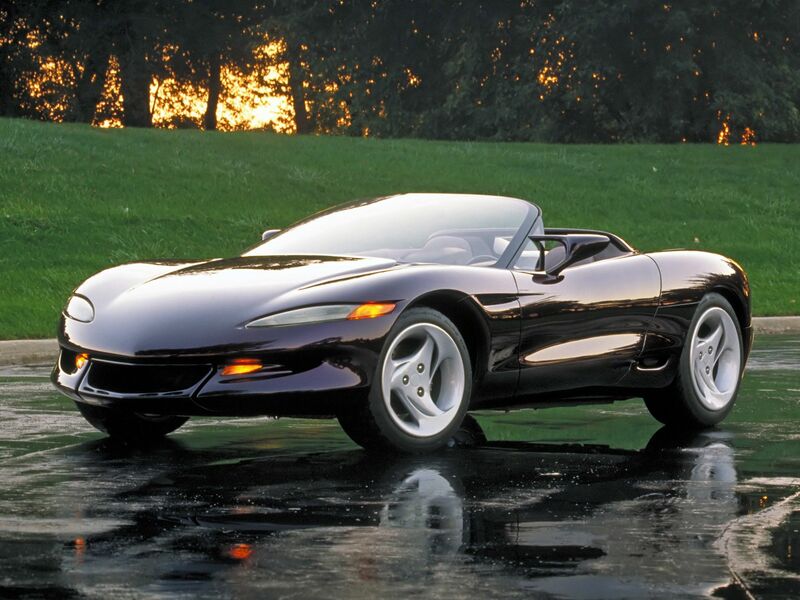 The Stingray 3 may have been only a concept, but it still retains a place in the history of the Corvette. Although many in the Chevy 3 design team did not care for the ‘purple car,’ it was a huge hit with the public and Corvette enthusiasts alike. Because the Stingray 3 was a concept car, it bore little resemblance to its immediate predecessors, a fact that delighted anyone who was waiting for something new and fresh. In addition, Corvette enthusiasts were happy to hear that, at least initially, the unique Stingray 3 would not be as expensive as models such as the ZR-1 Corvette. While this did not happen, there were enough enhancements within the actual 1992 Chevrolet Corvette to satisfy the company’s fans. Indeed, the 1992 iteration of the iconic car was a major mechanical improvement over other C4 generation Corvettes. The new lineup included an all-new engine block that balanced a bulky, aggressive engine and a powerful one. This new engine included several improvements, but Chevrolet didn’t stop there. The company also gave the 1992 Chevrolet Corvette a new system for traction control and special tires that could take full advantage of that system. Despite these major performance innovations, the 1992 Chevrolet Corvette was the lowest selling model year since 1962. There was a lot for consumers to appreciate in the 1992 Chevrolet Corvette. Even if the company couldn’t boast high sales numbers for that year, they dedicated themselves to producing a quality car that was a major improvement over its predecessors. A new LT-1 V8 engine was easily one of the biggest additions to the 1992 Chevrolet Corvette. 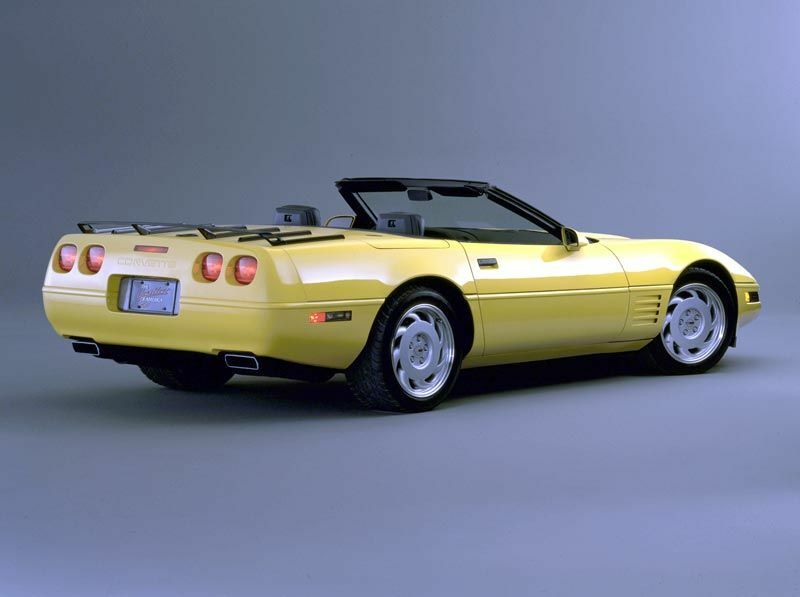 While previous C4 Corvettes could boast a maximum of 250 horsepower, the LT-1 engine allowed the 1992 iteration an output of 300 horsepower with an additional 300 pounds-feet of torque. These impressive numbers were thanks in large part to several smaller refinements to the 1992 Chevrolet Corvette’s engine. A sophisticated computer chip now controlled the timing of the engine. Although it weighed over twenty pounds more this time, a new camshaft, exhaust profile, and a high rate of compression more than made up for this increase. While this feature was technically part of the engine, it was so radically different on the 1992 Chevrolet Corvette that it’s an improvement on its own. In prior Corvettes, coolant ran through the engine block before reaching the cylinder heads. The new system applied coolant directly to those heads. In doing so, the engine on the 1992 Chevrolet Corvette could reach higher temperatures without fear of damage, reduce friction, and provide a better cooling process to primary points. All these enhancements allowed the company to start using synthetic motor oil, thus eliminating the need to put an engine oil cooler on the 1992 Chevrolet Corvette. The 1992 Chevrolet Corvette shipped with a new standard of traction control known as Acceleration Slip Regulation. The improved system used sensors to detect any signs of slippage of the rear wheels. If slipping occurred, ASR could automatically apply the brakes to those wheels. This safety feature allowed 1992 Chevrolet Corvette owners to drive the car noticeably faster even in less than ideal weather conditions. ASR did wear down the brake pads at a faster than normal rate, but drivers could disable the system until they needed it. 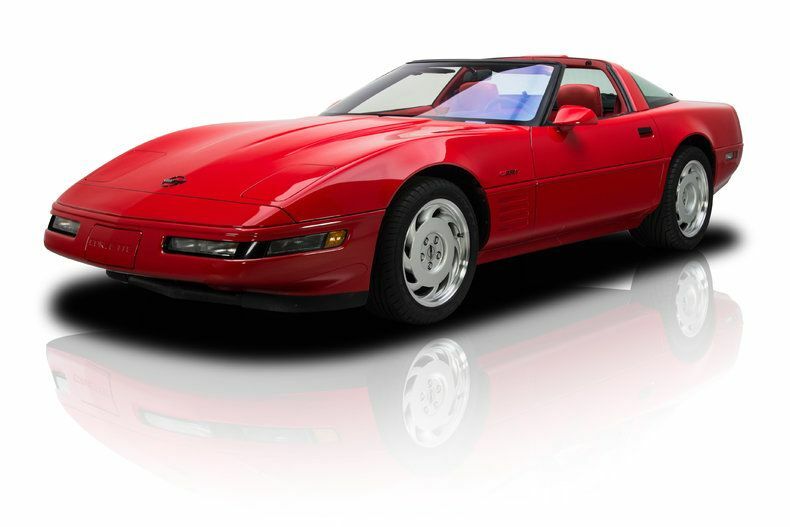 If you own a 1992 Corvette, there are several ways to get mechanical and technical assistance. The 1992 model may not have been the best-selling one for the company, but it still proved popular among those who did purchase it. Sites such as CarID and RockAuto sell parts should you need replacements or upgrades. If you prefer to share your stories and experiences with other 1992 Chevrolet Corvette owners, there are avenues for that as well. Online chat forums are home to a host of Corvette enthusiasts. Various social networking sites bring together like-minded hobbyists to discuss all things Corvette. Chevy made few cosmetic changes to the 1992 Chevrolet Corvette. The company gave the ZR-1 model extra badges, and all models had rectangular twin exhaust pipes. It’s no surprise that Corvette fans looked for ways to add unique twists to their 1992 Corvettes. These changes included simple items such as extra decal work or custom license plate mounts. Others opted for more complex changes like custom body panels, wings, spoilers, or hoods to change the look of the car. Many parts and accessories stores and online dealers will still sell a variety of accessories compatible with the 1992 Chevrolet Corvette. Chevrolet didn’t allow falling sales to affect their dedication to improving the 1992 Chevrolet Corvette. The car was sleeker and more powerful than those that came before it and the fans noticed this. In addition, Chevrolet produced the 1 millionth Corvette during the 1992 model run, no small achievement for any company. If you own a 1992 Corvette or want to share any thoughts about it, we encourage you to leave a comment in the section below.